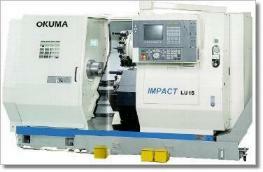 Turning - Intrepid Machine, Inc. - Intrepid is a machine shop located in Brooksville, FL. Fast set-ups and cycle time for small items. Larger parts is this turning center specialty. Long travel work area of 40"
A workhorse with two turrets, it can perform multiple operations at the same time. Good with your high production orders. 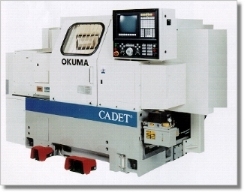 Excellent choice for small parts, fast set ups and small to medium size groups of parts. 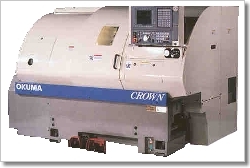 Cross Mill-Drill and C-axis sub-spindle to allow completion of complex parts in one operation. 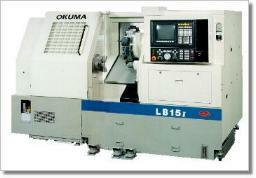 Equipped with LNS Quickload Barfeeder.